I joined my co-founder when I first heard about the concept. It was something that tugged at my heartstrings as I love archiving the little moments and experiences that become memories in my life – both good and bad. LoveByte is designed to help couples improve their relationship by providing that private space to allow two people to document and share their special love journey and unveil their love story. Our work can be seen on HuffingtonPost. It was acquired in Oct 2014 by migme, an ASX listed company at time of acquisition. migme had since shut down its operations in Singapore. What’s crazy was that we only had 3 months (~100 days) to plan the conference from scratch and I said YES! 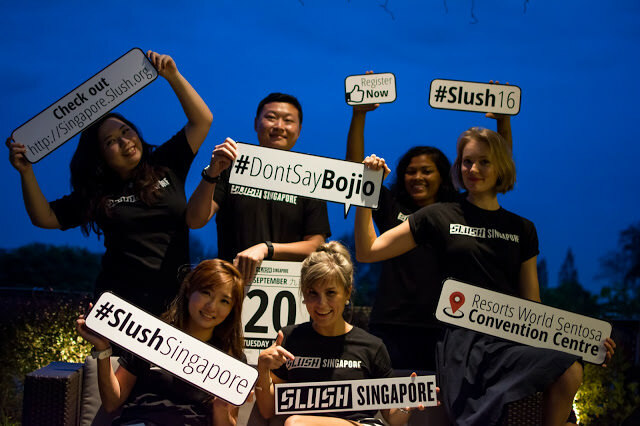 I was Head of Marketing for the inaugural Slush Singapore x Techventure held on 20 September 2016 at Resorts World Convention Centre, working with a core team of 7 members and over 200 volunteers.